Did I tag the same object? 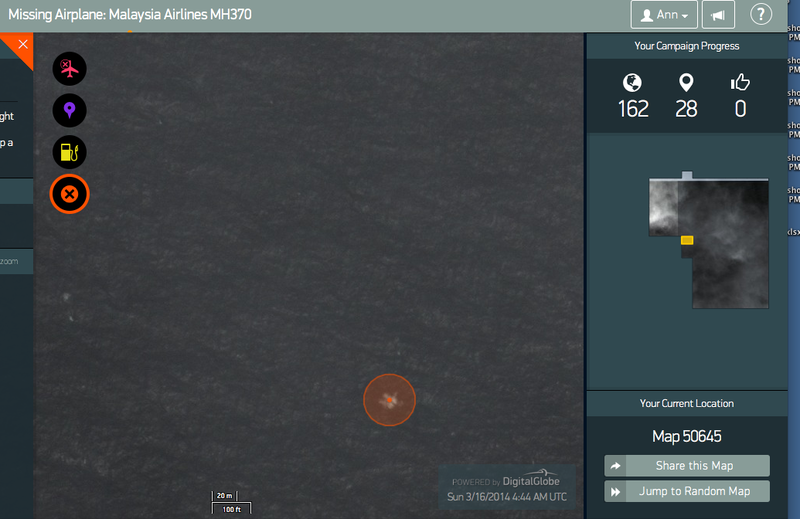 The Chinese released a satellite image of an object that may be related to missing flight #370. 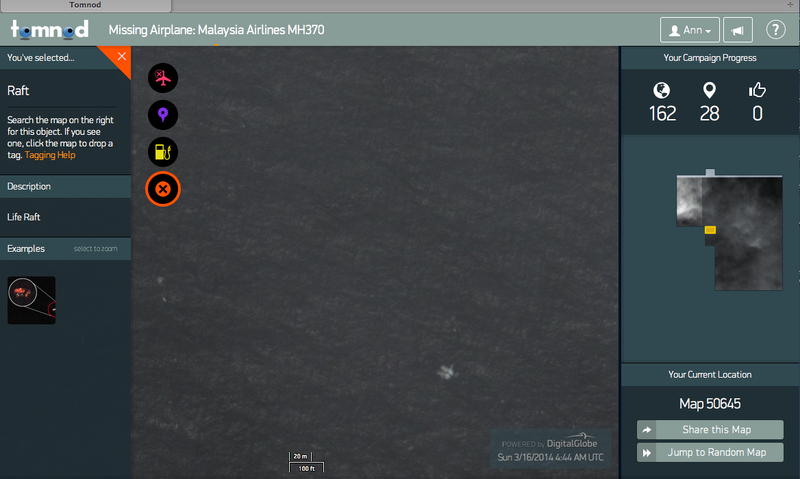 Did I tag the same object in my Tomnod search? 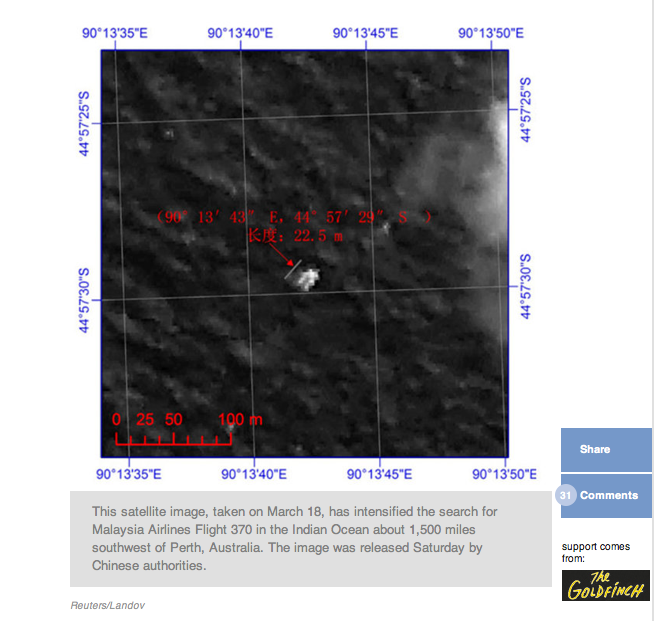 According to the caption on the photo, the Chinese satellite image is dated March 18, 2014. Tomnod’s satellite capture was March 16, 2014, at 4:44 am UTC. If it is the same object, it might be an important clue to help determine the direction and speed of floating debris from a possible water crash site. I tagged several objects in the same area, including what might have been oil slicks. My tag on the Tomnod photo. Making the least of it!